We’re excited to share that planning is officially underway for the 20th annual International Symposium on Online Journalism! We’ll hold this special anniversary event from April 12-13, 2019 at the University of Texas at Austin, and we hope you’ll join us. 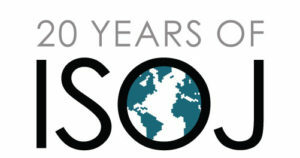 As a previous attendee, you know that ISOJ is a unique international conference that convenes about 400 editors, producers, executives and academics from around the world to discuss innovation, research, and trends in online journalism. As we celebrate the 20th anniversary, we’ll be reflecting on the history of online journalism, looking at the current opportunities and challenges that journalists are facing, and exploring what’s on the horizon. The very first ISOJ in 1999 included just five panels and took place just one year after the founding of Google, and several years before the advent of Twitter and Facebook. It was held in a small conference room for about 70 attendees and speakers from the U.S. Now, the annual event regularly attracts 400 people from all over the world. ISOJ 2018 had 440 participants from 43 different countries. Every year since ISOJ’s inception, we’ve published videos and transcripts from nearly every keynote talk and panel. We’re now digging into our ISOJ archives, which offer up a compelling look at the evolution of online journalism. During our first ISOJ in 1999, we asked: Is the search for money threatening editorial integrity? In 2006, we were asking: Should online and print newsrooms merge? Two years later, the question morphed into: How are integrated newsrooms (i.e., print + digital) working so far? As years passed, new questions emerged. Others remained the same but the answers changed. There is, of course, the ever-present quest for sustainability online. Can it be found with paywalls, nonprofit journalism or through advertising? When it comes to reader engagement, which methods or platforms are best? Do we find the users where they are, or bring them to us? In future newsletters, we’ll explore how the answers to these questions and others have changed over time, and we’ll resurface related quotes and videos from our archives. 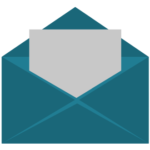 This ISOJ monthly newsletter will be your go-to guide for resources and news about ISOJ 2019. 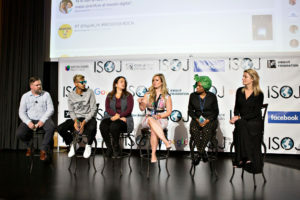 You’re receiving it because you have attended ISOJ in the past and we think you would be interested in learning more about, and attending, ISOJ 2019. If you don’t wish to receive the newsletter, you can unsubscribe at any time. Over the coming weeks and months, you can also stay up to date with ISOJ 2019 via our conference website, isoj.org, and via our ISOJ Facebook and Twitter accounts. If you have any questions, please feel free to email us at knightcenter@austin.utexas.edu. We hope to see you in Austin in April! Previous Previous post: From ‘pivot to video’ to ‘pivot to audio’: where do we go from here?